In this clip, Marcus Du Sautoy (Professor of Mathematics at the University of Oxford and the Simonyi Professorship for the Public Understanding of Science) participates in an experiment conducted by John-Dylan Haynes (Professor at the Bernstein Center for Computational Neuroscience Berlin) that attempts to find the neurological basis for decision making. All around the planet hundreds of millions of people are waiting for events to unfold in the year 2012, that they… believe will bring either the birth of a harmonious new reality… or ‘the end of the world. In Awakening As One’s new film “The Quickening” we will explain why so many people have been experiencing the sensation that “Time is Speeding Up”; particularly since the Earthquake in Japan. 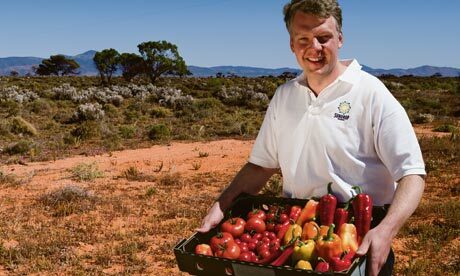 Philipp Saumweber is creating a miracle in the barren Australian outback, growing tonnes of fresh food. So why has he fallen out with the pioneering environmentalist who invented the revolutionary system? Indeed, the work that Sundrop Farms, as they call themselves, are doing in South Australia, and just starting up in Qatar, is beyond the experimental stage. They appear to have pulled off the ultimate something-from-nothing agricultural feat – using the sun to desalinate seawater for irrigation and to heat and cool greenhouses as required, and thence cheaply grow high-quality, pesticide-free vegetables year-round in commercial quantities. 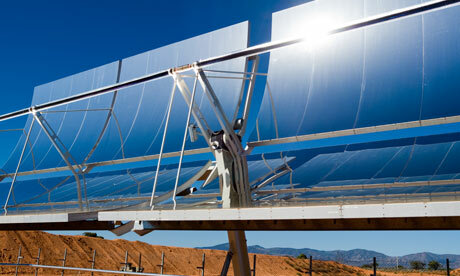 A 75m line of motorised parabolic mirrors that follow the sun all day focuses its heat on a pipe containing a sealed-in supply of oil. The hot oil in turn heats nearby tanks of seawater pumped up from a few metres below ground – the shore is only 100m away. The oil brings the seawater up to 160C and steam from this drives turbines providing electricity. Some of the hot water from the process heats the greenhouse through the cold desert nights, while the rest is fed into a desalination plant that produces the 10,000 litres of fresh water a day needed to keep the plants happy. The water the grower gets is pure and ready for the perfect mix of nutrients to be added. The air in the greenhouse is kept humid and cool by trickling water over a wall of honeycombed cardboard evaporative pads through which air is driven by wind and fans. The system is hi-tech all the way; the greenhouse is in a remote spot, but the grower, a hyper-enthusiastic 27-year-old Canadian, Dave Pratt, can rather delightfully control all the growing conditions for his tonnes of crops from an iPhone app if he’s out on the town – or even home in Ontario. 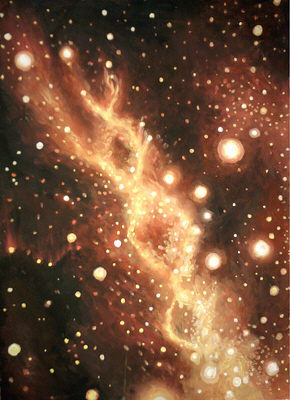 It is VERY Interesting… Here an ex Russian astronaut tells of an adjacent body heading our way and about a shock-wave being emitted from the centre of the milky way that is heading our way and affecting our sun… and much more…. Michael Tsarion is a New Age researcher and alternative historian who has written and spoken extensively on the occult, Freemasonry, Rosicrucianism, extraterrestrial life, Atlantis, evil, the origins of life and civilization. Tsarion is particularly interested in conspiracy theory and is considered himself to be a conspiracy theorist that frequently cites the works of Jordan Maxwell, Alistair Crowley, and Carl Jung, as well as classical literature and the Bible to support his views. Graham Hancock ~ Why 2012? December 21, 2012… the End of the Mayan Calendar and the start of something new? From The Native Wisdom Keeper & Shaman Little Grandmother Kiesha Crowther. During her workshop in Zurich early November 2010 Little Grandmother Kiesha Crowther spoke about 2012, the expected pole shift and how we should prepare ourselves. Illustrated with pictures and accompanied by the music piece “Garden of Love” from the CD “Sarastus” by Rija.